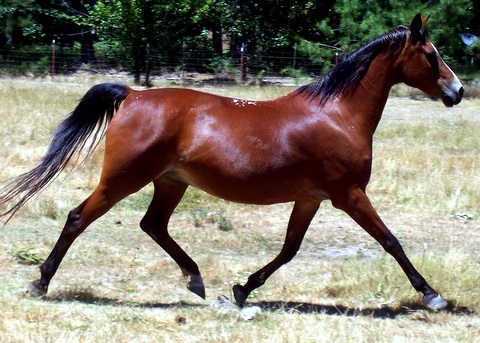 A bay National Show Horse mare. This color is sometimes described as blood bay. Photo donated by felina.